Do you need help in clearing up your land? From weeds to waste, and specializing in site clearance, we aspire to help you create beautiful landscapes and help you maintain gorgeous garden views for your business or home. If you are looking for grounds maintenance in Romsey, then choose Nightingale Ground Care for quick and effective results. Through rain or shine, we will be there with the best equipment suited for keeping your garden to the to best quality it can be. Our certificates can give you the confidence in our company, as well as quotes from past and current clients, so you know we can guarantee you a great service. At Nightingale Ground Care, we can also take care of those pesky weeds and trees that may be in need of urgent care. 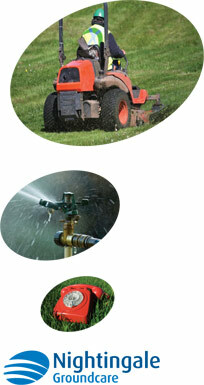 We can also assist with annoying pests and any other jobs that can be done to help maintain your land. You can take a look at our PDF to find out more about these services. If you would like to use our services, you can contact us via the simple form right on this website, or via email or telephone.